When I first visited Cartagena, in 2008, for a Caribbean studies conference where I was speaking, I was so happy to see the incredible diversity of the city. However, what really astounded me was that, unlike my experience in the United States, most folks seemed to be quite comfortable with not only every racial group (on a social level, mind you; the system of racism is everywhere), but also everyone's national background. If your parents had a different country of origin, but you had made your home Colombia, for example, they had no problem calling you "Colombian." I know that my experience with my father's country is quite limited, so perhaps there is an idealization that has occurred in my interpretation of the social system there, but I cannot help but wish for that idealization here in the United States, especially among my fellow Latinos/as. Last night I had the privilege of attending two Latino/a events: one in the Bronx, and one in Harlem. The former was at the Bronx Museum and it focused on the work of Piri Thomas, and the latter was at La Casa Azul. There were two things that occurred that made me think and wonder about a more ideal world. The first was when fountain of wisdom, Elba Cabrera, spoke about her relationship with Piri Thomas, and how she was disappointed that he did not donate his papers to the Centro de Estudios Puertorriqueños. They were, instead, donated to the Schomburg Center. I immediately thought, "Yes, she's right. The Puerto Rican community has supported Piri and he should have done that." But then, something in me thought, "But Piri was also Cuban. He wasn't just Puerto Rican. And, a huge part of his legacy has to do with Afro-Latinidad, which is what Schomburg dedicated his life to." Who has the right to claim Piri's legacy? Why didn't Cubans claim him? If his papers are at the Schomburg, does that downplay his Latinidad? If so, how is that possible? How is it possible that a center that is named after an Afro-Latino seems to imply to some of us "only Black without the Latino"? The second moment came at La Casa Azul. It was a truly wonderful event with dear friends celebrating their work and accomplishments and there were few dry eyes in the house by the end of the night. We were all blessed to be there. However, my enlightenment came at the end of the evening when the authors who were celebrated spoke about current exciting writers movements: both agreed that the most exciting work is happening in Texas and Fresno, among the Mexican American/Chicano population. My first thought was, "Well, that may be their experience, and that's fine." But then my second thought connected me to the earlier event and I asked myself this question: Why do we often look to our own Latino/a communities as if they have the best to offer? The statement made at the end of the event made me feel the same way I have felt when I've been in classrooms where the professor and many of the students agree that most of the best writing comes from England or France or Russia. La Casa Azul by no means promotes only one Latinidad--it is one of New York's very best bookstores and I buy books from every kind of Latino/a or Latin American writer you can think of each time I'm there. I only highlight this one moment as springboard to write about something that has been brewing in me for a long time. As someone who has Cuban, Colombian, Black, White, and indigenous ancestry, I have had trouble finding a group that will claim me fully. When I was younger, I found great pleasure in identifying with artists like Tina Turner or Ricardo Montalban, but people in my own communities did not necessarily claim me the way I felt I could claim them. There have been moments when I was too white for the Black community, too black for the White community, not a real Latina/a for either the Puerto Rican community or the Mexican American/Chicana community, even though I spoke the same languages, read the same authors, listened to much of the same music, and ate very similar food. I think of this problem when I think of Piri's papers. Where does his legacy belong? Can one group claim him? Interestingly, lots of Latinos/as don't see the boundaries some of us do. Piri himself, just like Pedro Pietri, and many others, never felt the need to create boundaries between the groups, not just in the Latino/a community but also in the greater community itself, as they had great friendships with folks in every cultural group. People like Amiri Baraka and Martin Luther King, Jr., felt and lived the same way. What do we do with our mixed people, or to be more blunt, people like me? When the Spaniards arrived in what they named the Americas, they had a very specific plan, which is shown in the casta paintings. 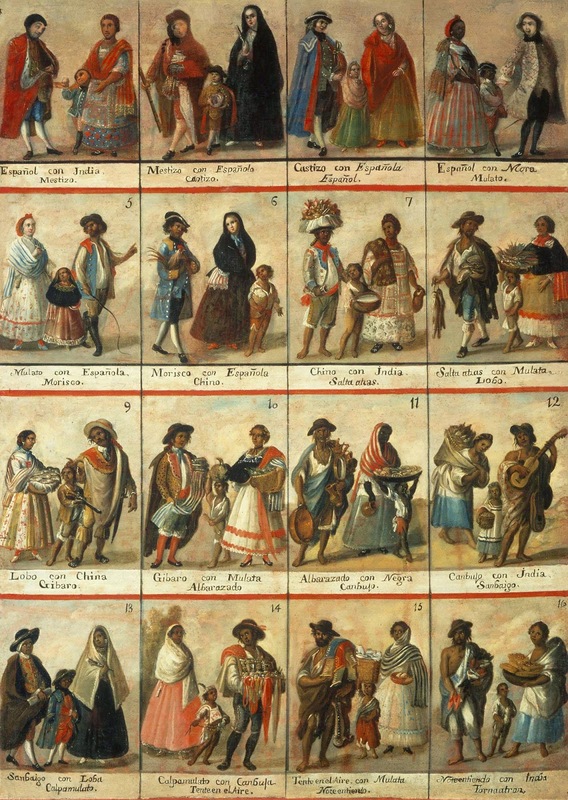 The Spanish created this system of hierarchy in order to ensure economic and social stability, purely through race. We still perpetuate this system today. It could be argued that we do this through our media system, and there is plenty to prove that, but it is also true that the system is so ingrained in several generations, that it gets perpetuated without much need for repeated imagery (not that anyone takes much chance; our books, films, and newscasts still support the imagery/system). What the system promotes is that the less you mix and the lighter you are, the more valuable you shall be. The most mixed and darkest folks are at the bottom of the value grid. They have no shoes and they have the accoutrements of harder labor. The names also signify what one's value will be. For example, in the 14th cell, two mixed people produce a child whose race is "tente en el aire," which translates to "in limbo." Was Piri in limbo? Am I in limbo because I cannot claim one country of origin? Is my work less valuable because I cannot claim one race? Do I not deserve a support system, a community? To draw from Sojourner Truth, Ain't I a Latina? Despite the desire to imply that people can belong to one and only one community - it's easier, for heaven's sake(!) - we know this idea is a myth. There are plenty of whiteness studies that have shown that all the idea of whiteness does is erase a variety of ethnic influences that exist in each person. Similarly, the idea of just being "Colombiana" can erase aspects of one's ancestry, too. 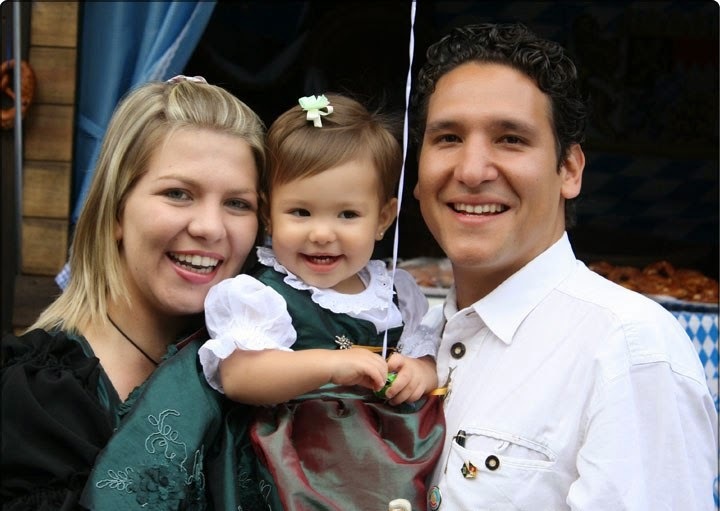 This Huffington Post article reminds us that there are Latinos/as of Asian heritage, of German descent, and Middle Eastern descent, to name a few - and NOT because they moved to the United States and married someone from one of those cultures here. Those cultures exist in Latin America. They are in our history/ancestry already. People like Miriam Jimenez-Román and Juan Flores have written extensively about Afro-Latinos/as. On the flip side, this blog points out the great number of Latinos/as who identify as White Hispanics and who, culturally, don't claim much of Latino/a culture at all. Who gets to claim Louis C.K.? Who gets to claim Aubrey Plaza? Who do they want to be claimed by? Perhaps they'd rather be a part of a community that isn't based on race/ethnicity, but is based on their artistic interests? Is that wrong? There is a group called Latinas and Latinos of Mixed Ancestry (LOMA), and they seek answers to such questions. The group desires to create a space for Latinos/as with one Latino/a parent and one non-Latino/a parent, Latinos/as with parents from different Latin American countries, and racially mixed Latinos/as. On their site, they write, "So it appears that there are a growing number of mixed people with Latina/o backgrounds but not identifying with their cultural roots. But what is this group actually thinking? What are their sentiments on issues such as immigration, racial profiling, the economy and healthcare reform? Where do these people even live?" They also cite U.S. Census statistics that show that as many as 10 million mixed Latinos/as could have a Latino/a cultural background but not identify with it, possibly because of their mixed status. Ten million! Have those of us who are mixed Latinos/as not identified with any Latino/a groups because it would simply be too difficult? Would we go unclaimed by them if we did? Or do we find the parameters of such groups too narrow? For example, I identify with punk music much more than salsa. When I find myself in Latino/a writer communities, a lot of the Latino/a writers preserve the culture by writing about topics like abuelas/os and the food, but my work does not tend to be about such things because I didn't know my abuela very well and the food has been written about so extensively, I have nothing to add. Now, if you want to know about a hitchhiking, moshing, Chicago Latina who became a professor, I can do that (memoir forthcoming). Is my experience still a Latino/a one? I think so. I think the mixed Latinos/as that LOMA is reaching out to, people like Louis C.K. and Aubrey Plaza and Zoe Saldaña, break the stereotype that artists like Sofia Vergara perpetuate, and I think they break the myths of the castas grid. I understand the need create groups that support our goals, but I also understand that some of us don't fit - and may not want to fit - into such clean cut categories. My hope, in the end, is that when we encounter those who we feel might not fully fit into our group, we think twice, see if they need a community and then offer it, even if we feel there are differences. Perhaps those differences can be exciting. and the rain and honey flowed. the villages ate what they sowed. they were hungry and scared. They were dirty and crazy with grief. their jealousy made them all thieves. and they used swords to rule and divide. so the two worlds would not collide. of children from each other. One from each side did meet. they did cartwheels and danced with their feet. grew and gave birth to their own. looking for food outside the home. squares of each separate group. Thus, their little girl was left alone, forever. the girl began to sing out loud. carried in the wind far along. From the divided villages, it drew a crowd. ¿Sera antes de yo morir? she was the child of the murdered couple. tried to stone and bury her under jagged rubble. When will my family come for me? Will it be before the dirt takes me?